THE MEGA TRUCKS ARE HERE! 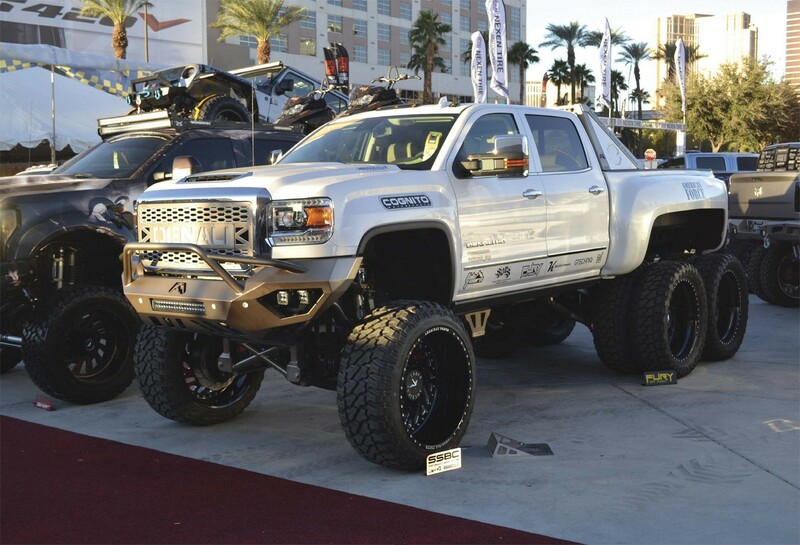 The Specialty Equipment Market Association (SEMA) show brings new trends every year, and 2018 was no exception. In the past, there have been years when swaps dominated, while other years were the year of the Ford or the year of the rat rod. There are literally all types of lifted, lowered, modified, utility and swap vehicles at SEMA, but there’s always something new. 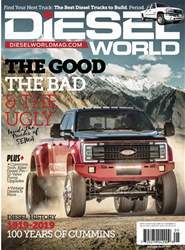 For years, we’ve watched as trucks have gotten higher and higher; for a while, it seemed to be a competition about who could build the highest bolt-on lift kit using factory suspension parts. 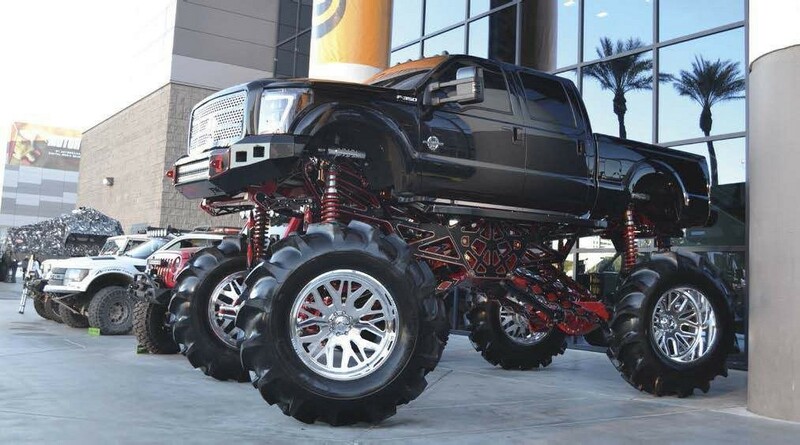 This year broke the mold, because we saw a number of trucks show up with completely customfabricated suspensions and some that were even taller than monster trucks! Even those with kits were now using coil-overs, and we saw more flexed-out trucks than we have ever seen.